This Great Southern Health Insurance Company Review explores the insurance division of Springfield, Missouri-based Great Southern Bancorp. The company offers banking and insurance services throughout Missouri at about 50 branch offices, and at several dozen office locations throughout Nebraska, Kansas, Iowa, and Arkansas. Great Southern Bancorp also offers traditional banking services, including deposit accounts (checking and savings), certificates of deposit (CDs), retirement accounts (such as Individual Retirement Accounts), and credit cards. 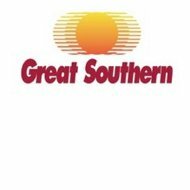 Great Southern also offers loans to individual and business customers for a variety of purposes, including new construction and business expansion loans. If you’re thinking about health insurance rates, take a minute to request fast and completely free health insurance quotes by typing in your zip code location now! Keep reading about Great Southern Health Insurance to learn if the kinds of health insurance offered meet your needs. The Great Southern Insurance Company offers a variety of insurance products and services, including life insurance, property & casualty insurance coverage, and health insurance. The company markets insurance products to bank and investment clients (through Great Southern Financial Services) and travel agency clients (Great Southern Travel). Great Southern expanded its network in 2009 by acquiring the offices of a failed bank, TeamBank, along with the depository accounts of Vantus Bank. The company added three branch offices in northwestern Arkansas in 2010. Great Southern Bancorp’s chief executive, Joseph Turner, owns approximately 25% of the company’s outstanding shares. The company is publicly owned and trades on the NASDAQ (Symbol: GSBC). The company provides insurance products and services to clients as an insurance agency. The company operates as an independent agent, and offers a variety of insurance companies’ products and services. Independent insurance agents help clients to compare costs and coverage, and to select programs that best meet clients’ needs. Depending upon the individual or business needs of the customer, Great Southern Insurance Company offers individual health insurance coverage; group health insurance; Medicare supplement programs; long-term care insurance programs; burial expense; and additional insurance lines. Individual health insurance covers the needs of an individual or family. Great Southern helps clients to compare health insurance rates, including premiums, deductibles, and variables (such as pre-existing medical or health conditions) when selecting a new health insurance provider. Group health insurance plans offer employers with a cost-effective solution to providing for the health insurance needs of employees. Great Southern helps business clients in one or more locations to identify new health insurance plan providers. Medicare supplement programs, also known as “Medigap” policies, help individuals and families to cover the gaps in Medicare insurance coverage. Great Southern agents help clients to evaluate needs and costs of obtaining gap insurance coverage. Long-term care coverage assists in paying for health and medical services over a certain time period. Because the costs and benefits of these policies can be substantially different, Great Southern agents help clients evaluate the costs and services needed, including home health, custodial care, or nursing home and rehab center services. Burial expense policies, sometimes called “Final Expense” plans, help families to bear the costs of a funeral. The insurance policy coverage amounts range from $5,000 to about $25,000. Prescription insurance coverage through preferred pharmacy networks. These plans assist patients with a prescription drug review and education. The plans may include mail order services to save money on prescription medicines. Dental insurance plans help individuals, families, and groups to save money on dental care and services. Cancer insurance coverage helps to insure an individual for medical expenses for cancer treatment. Request comparative health insurance quotes while you’re thinking about it—just type in your zip code to start the flow of fast, free information to save you money!